Martin Richter… we still wear the scars! Hurrah! 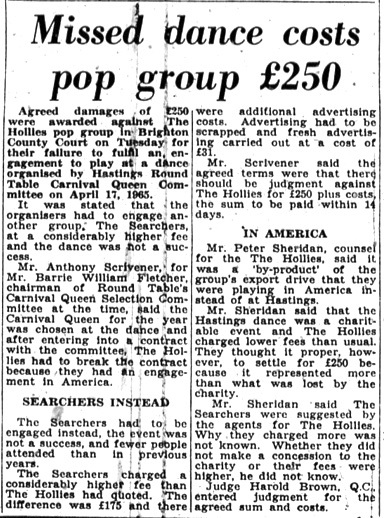 We have reached Easter 1965 – and this would have been the first break from work since Christmas, the Easter Holiday is a strange one, because many people still work on Good Friday. 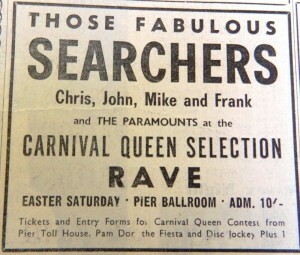 Here we are the Saturday 17th April 1965. The Happy Ballroom on Hastings Pier was to be the centre of the Hastings Carnival Queen Selection, and its back to the world of Pop groups, topping the bill this weekend would be from Liverpool “The Searchers” supported by another group from Merseyside The Paramounts. The youngsters would have to brace themselves for the short walk from the Promenade to the Ballroom, as the weather for that weekend – “Rain, Wind and below average temperatures “ Bank Holiday Monday there would be the Easter Parade with the best Bonnets and fancy dress – Dancing from 10.30am to 1.00pm in the Happy Ballroom. The weekend had kicked off with Ready Steady Go on the Friday night, thanks to Rediffusion broadcasting the London ITV programmes in Hastings. This week as a special was alive outside broadcast from the Ricky Tick Club in Windsor – a well know location for the Mods and some serious music. Cathy McGowan interviewed George Harrison and John Lennon. The music was supplied by Adam Faith “ I need your Love” : The Kinks “Everybody gonna be Happy”: Hermans Hermits “ Wonderful World”: The Yardbirds “ For Your Love” also on the programme Doris Troy, and Don & Dee Dee Ford. For those who had made a Friday night venture to the Witch Doctor, they were entertained by The Echo’s – Dusty Springfields Backing Group. The weekend continued with Saturday night a double bill with The Washi9ngton DCs and The Shevelles. Sunday Club – it was the return of The Voodos. Bank Holiday Monday saw the WD favourites John L Watson & The Hummelflugs. Friday night’s live music was provided by one of Hastings best –The Talismen. The other nights discs with the WD crew playing the best music about. One of the good things about the weekend is that BBC radio made some changes to their normal schedule, but there was an increase in the pop music – influence of the Pirates? Who knows? 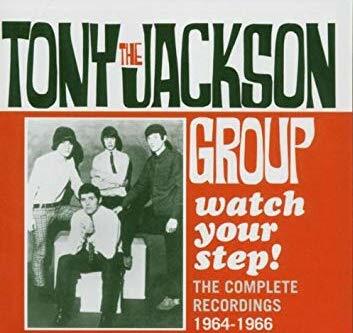 10.00am Saturday Club, with Brian Matthews, on the bill this week –Hermans Hermits, Doris Troy, Moody Blues, Kenny Ball and His Jazz Men, Tony Rivers & The Castaways and Brian Jameson. 2.00pm Saturday Swings – Rosemary Squires, Jerry Allen Trio, Mike Redway, The Yardbirds and some “ swinging discs “ played by Bruce Wyndham. 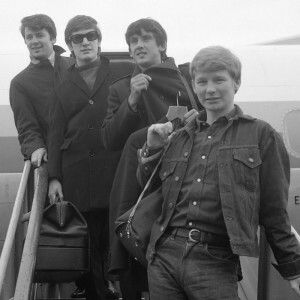 Brian Matthews was back at 4.00pm with The Animals and Goldie & the Gingerbreads on Top Gear. 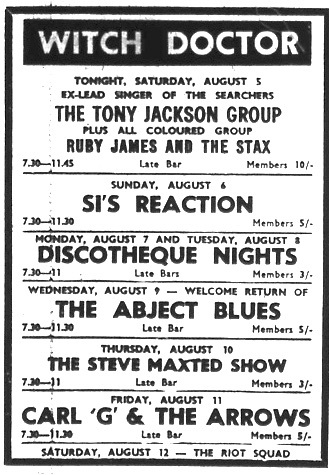 Later that evening from The Ricky Tick Club, Windsor – Tony Hall presents “Georgie Fame and The Blue Flames. Sunday morning Easy Beat – Dionne Warwicks, Roger Miller, Val Doonigan, The Sorrows and The Johnny Howard Band, Keith Fordyce and his selection of the latest releases. 12noon – an institution – Two Way Family Favourites – this week it was in fact Three Way, with the inclusion of BFBS Cyprus from Nicosia. Sunday lunch at Easter was a special fro so many households – Roast Chicken with all the trimmings, and for the youngsters like us – was many Easter eggs as you could manage !! 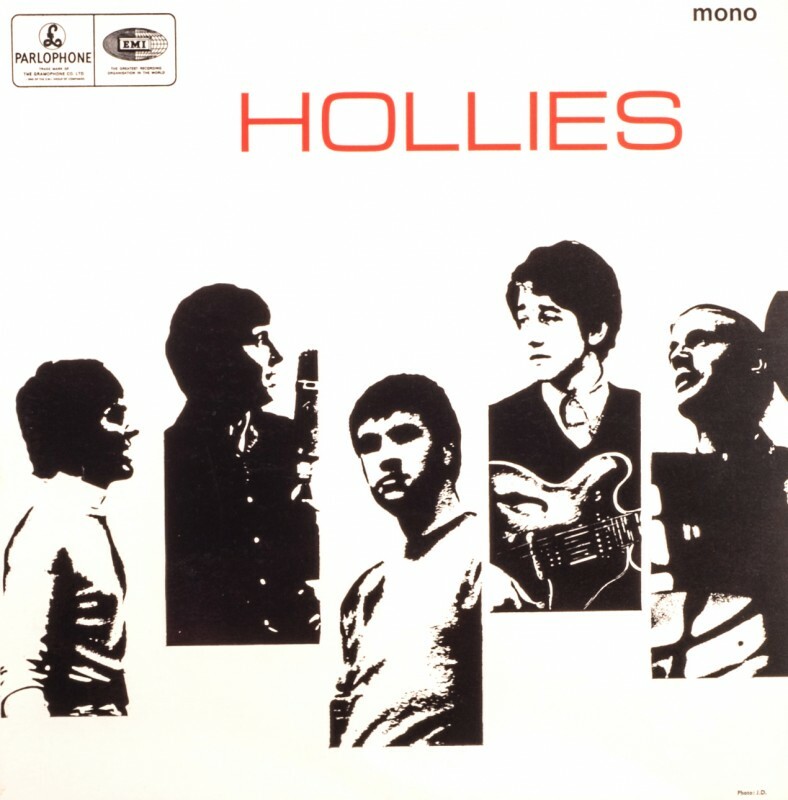 Bank Holiday Monday for some it was sports programmes, for others more music programmes – 10.00am Holiday Pop – Anita Harris, Donovans, Unit 4 plus 2, Tom Jones & The Squires [ was this a rehearsal session from next weekend in the Happy Ballroom] The Hollies and The Artwoods. 12 mid day – Record Spin with Don Moss. 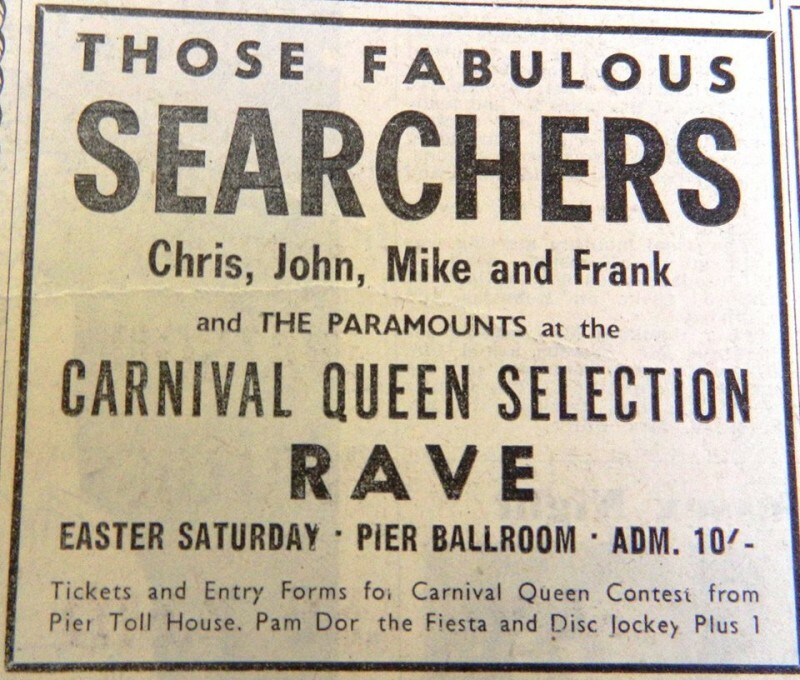 2.00pm Happy Holiday Beat – The Searchers, Mark Wynter, Maureen Evans, The Seekers, Sandra Brown, The Raindrop and Don Wardell “spinning a few discs”. 4.00pm Yeh!Yeh! Tony Hall with Gerry & The Pacemakers, Elkie Brooks, Roger Miller. The Bank Holiday ended with Teen Scene – 10.30pm – News Gossips & views Plus discs from the world of Young People in the chair Barry Chambers. Television on Saturday featured – Juke Box Jury, with David Jacobs, Tony Bennett, Marianne Faithfull, Ertha Kit and Ted Rogers. Over on ITV – Thank Your Lucky Stars – Brian Matthews introduced, Cliff Bennett & The Rebel Rousers, Tony Rivers & The Castaways, Manfred Mann, Adam Faith & the Roulettes and The Honeycombs. For many of us, the most important entertainment was the Radio, and as I have mentioned before – The Pirates, and how they were influencing charges in the music and entertainment scene. 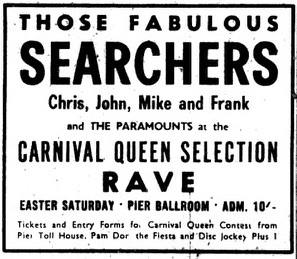 That was Easter 1965 – how many of you remember making a trip to Eastbourne – The Continental on the Sunday or Monday? it was just the norm, as we had visitors coming over to Hastings to visit the PamDor or Witch Doctor. Next week, we see the pop music is back with a Welshman would was just about to start taking over the world, yet again Hastings Pier Ballroom was in the forefront ! until next week you take care. Andre Palfrey-Martin © 2015. Mick O’Dowd… I shall miss “togetherness dancing” but there we go. The Paramounts were the band that morphed into Procul Harum. Used to listen to Two-Way(3 Way and more) Family Favourites at Sunday dinner time. 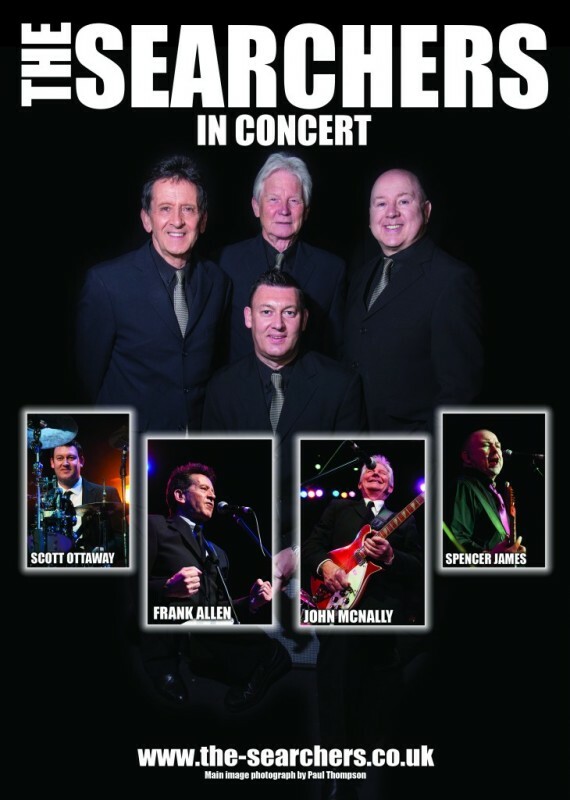 60’s Acts at Congress Theatre – Eastbourne – Winter 2014 & Manfred Mann chat. 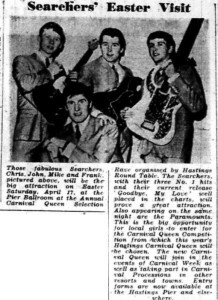 18/11/2014 Sixties Gold – Gerry & The Pacemakers, The Searchers, PJ Proby, The Fortunes, Brian Poole & Chip Hawkes. Mick O’Dowd… Just like taking a trip in the Tardis! Dave Natress…If anyone wants to see a 101% top quality show, go see “The Manfreds”. Its a shame a few of this original Manfreds show line-up have retired from the show tour – but then, none of us are getting any younger but…..it’s a truly fabulous show. Top musicianship all round and top vocals from the true Peter Pan of Pop – Paul Jones – forget the other claimants to this title!! Paul, as some of you will surely know, is also a world class harmonica player. Alan Esdaile… Saw the show at The White Rock Pavilion a couple of years ago and it was excellent. Had Alan Price and Maggie Bell also on the bill. Paul Jones still looks like he did in the sixties and doesn’t age. Rontenn…I was a teenager for most of the 1960′s. I loved the music that came out in that decade whether it was from the U.K. or the U.S.A. Glad to see that there are lots of artistes from those magical years still around & still performing. Sadly many have “left the building” including two in the last couple of days Alvin Stardust & Jack Bruce. My personal top favourite of all the solo singers still around is P.J.Proby. The Beatles intoduced him to us all back in 1964. On November 6th P.J. will be 76. He’s still an amazing performer & if you get the chance to see him perform please take it. He’s up there in the same category & class as Elvis. Rontenn…Manfred Mann were an absolute top group. I see Manfred himself has a new CD out called “Lone Arranger”. When did he leave his own group & why? Steve Kinch… if you’re referring to the original Manfred Mann group, they split in the late 60s. If you mean MM’s Earth Band – They are still going strong. The Lone Arranger is a Manfred solo album with contributions by numerous artists and musicians, including Kris Kristofferson and members of the Earth Band. Alan Esdaile… I think they wanted to know why Manfred Mann split in the first place. I think it was down to musical differences and he was not happy playing pop songs but maybe wrong? Steve Kinch… Alan, that’s about right! Soon after Manfred mann (the pop group) folded Manfred formed MM’s Chapter Three, which was probably as far away from “pop” as it’s possible to get: A kind of jazz/rock outfit relying heavily on band members ability to improvise. 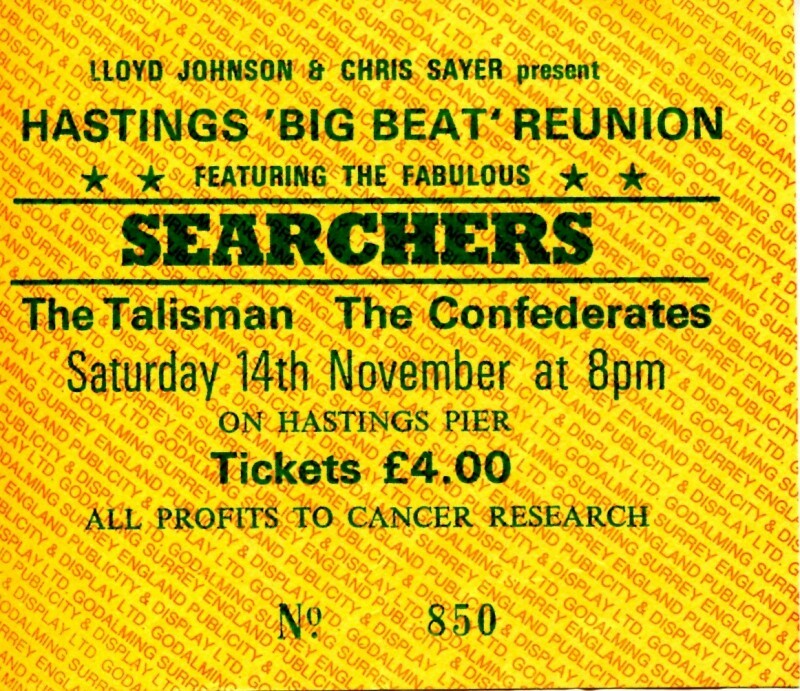 Peter Millington….Here is the second video of the great Big Beat Reunion held on 14th November 1987 on Hastings Pier. This one features The Confederates who re-formed for the occasion. I hope the video brings back some good memories of the Pier in its hey-day. It’ll never be the same, just look at everyone dancing! Peter Millington…The Searchers in full flow. They were obviously impressed with the atmosphere on the pier and made the most of it, as did all the musicians from The Confederates, The Talismen, Cliff Bennett and Friends and of course the enthusiastic audience.